Sports fans celebrate the Super Bowl as the annual culmination of the football season where the champions from the AFC and NFC meet on the field for a fierce 60-minutes of playing time. Only one team will come out on top as the winner, making the other team the automatic loser. The winning team will receive a trophy on the field, ride on parade floats and may even meet the President. The victors will bask in the glow of their triumph up until the start of the next year’s pre-season when the hunt for a champion begins anew and every team and player is as popular as their most recent play. Off the field, there is another championship that happens at the same time as the one on the field. This battle is one played for keeps with conquests remembered for perpetuity. Winners don’t just receive trophies to be stored in a locker room, but victories are notches on a belt that can be worth millions. Even better there can be multiple winners, losers and even a tie. As you might have guessed this is the annual contest where ad agencies and America’s most beloved brands brawl with each other to sear their entertaining, but subtle marketing messages into the collective minds of millions of people. The phenomenon of using the massive audiences tuned in to watch the big game as a base to pitch for sales is far from new and there are notable Super Bowl commercials going as far back as the 1960’s. What is a bit more unique is the companies that have used the Super Bowl audience to introduce a product or offering for the very first time. Apple famously launched the Macintosh with their “1984” commercial, and the infamous Dot Com Super Bowl of 2000 was a veritable feast of tech companies using investor money to launch their websites. In 2002, mobile technology was in its absolute infancy and “killer features” like SMS were just coming onto the scene. 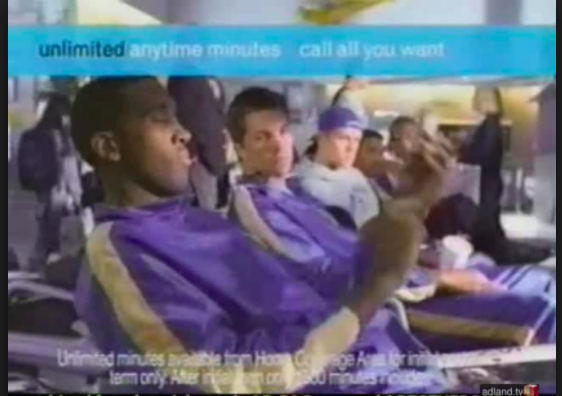 In an attempt to make a play for a vast swathe of market share, AT&T made an audacious launch of unlimited calling and texting – unheard of at the time, and they used a Super Bowl commercial to draw attention to an unknown website with details about their new product offering. For weeks before Super Bowl XXXVI AT&T ran a series of TV commercials and billboards teasing a new product called Mlife. Nowhere in the advertisements was the AT&T brand name or any details on what Mlife was supposed to be. During the actual Super Bowl, there were a series of 15 seconds ads showing belly buttons with one simple call to action: Go to Mlife.com. Millions of people did just that (I was one of them) and the sheer onslaught of traffic brought the website to its knees. No one was even able to find anything more about Mlife since the website could not load. During the days and weeks after the Super Bowl, AT&T was declared the clear winner of advertising championship, and their commercials were the topic of discussion on all the morning shows. The wireless industry – now called the mobile industry hardly resembles what existed in 2002. The powers-that-be at AT&T decided that they no longer needed the Mlife brand, but they did something that just might horrify any marketer. They sold the domain, the brand equity and all the SEO value acquired by launching the website during a Super Bowl. Today if you go to Mlife.com, it is the homepage for MGM Resorts’ (the parent brand of casinos like Bellagio, Aria, and MGM Grand) loyalty program. At the time MGM registered the domain in 2010 they didn’t seem married to the name Mlife as the name for MGM’s loyalty program’s name. The actual loyalty club product was not even launched until 2011. While the domain squatters wouldn’t have let these other names go for a steal they would certainly have to be less costly than what AT&T should have priced the domain if they had valued it correctly. As with all assets, there are many ways to price a domain name, but one that should never be neglected is the value of the brand and SEO pointing to the domain. Leaving aside the debate over the specific value of a link, the links directed at Mlife could be considered relevant and valuable if AT&T would have used the domain to redirect it to one of their latest mobile promotions. Even if by some weird algorithm twist the links had zero value whatsoever, there are possibly still users that click on the article links to a 16 year old mobile campaign that are not going to find the most recent mobile deals. Essentially, this means that the value of the domain is worth considerably more to AT&T than it would be to any other party that wanted to buy it. Within this odd marketing story there lies a key lesson for any marketer. When evaluating the book value of any marketing asset you need to consider the sum of all the history behind the asset before selling it off or relegating it to the trash. Every marketer is going to have a long list of failed projects and assets, and while they all might not have reached their desired potential this does not mean that the all of the efforts were for naught. Every social media fan, link, feedback review and even just access to a domain for SEO testing likely has a higher value to the company than just the street or market value of just that asset. Every time I go to Las Vegas and see MGM billboards telling me to go to “Mlife.com” to sign up for their loyalty program, I remember the 2002 AT&T campaign that launched that domain and I reflect on this missed opportunity. To me, and hopefully to you too, AT&T’s folly should serve as a stark reminder that in web marketing, everything counts.